Our guide will meet you outside the customs of the Capital Airport after you retrieve your luggage and clear the customs, and then transfer you to the hotel with a private van. The rest of the day is free for you to have a good rest and get prepared for your 11 days China tour package. In the morning, you will visit Tiananmen Square and the Forbidden City. As the largest city square in the world, Tiananmen Square has seen the country's development in the past 500 years and become an important venue for most of the national ceremonies. Walking through the square, you will come to the largest and best-preserved imperial palace complex - the Forbidden City. With 590 years of history, the Forbidden City will bring you back to the prosperous Ming and Qing dynasties by showing thousands of imperial architecture and precious culture relics. To avoid the cheap tourist restaurant as the most are doing now, we will serve you an a la carte lunch (valued at CNY150.00 per person and included in our price) at a famous local Cantonese restaurant to taste the authentic Chinese food. Usually our a la carte meal price is three to four times higher than that of the eateries arranged by other agencies and our food quality is surely incomparable. After lunch, visit the Temple of Heaven, which is the imperial altar for the emperors of the Ming and Qing dynasties to worship the god of heaven. Today your private visit will begin with the splendid Mutianyu Great Wall. As one of the most popular sections of the Great Wall, Mutianyu, likes a soaring dragon stretches along the mountain ranges. You will be deeply impressed by the wandering walls, spectacular passes and towers, and splendid mountain scenery. We will arrange the round-way cable car for you. For lunch today, we would leave it on your side. Our guide will help you to find a proper restaurant upon your request. On the way back to downtown, drive by the Bird's Nest (Olympic National Stadium), the venue of 2008 Olympic Games. You will see the full view of the huge 'nest' at a distance. Take this chance to add one memorable photo in your album. Afterwards, we will head to a local market and leave you some free time to wander around. This morning, you will firstly visit the existing largest imperial garden - the Summer Palace, which is an outstanding combination of Chinese classical landscape design and natural beauty. Then, you will have a Hutong tour to experience the original Beijing culture by taking a special rickshaw riding through the various Hutongs and to know about old capital's manners and customs. After visiting the 798 Art Zone, you will take a flight to Xi'an and our guide will be waiting for you outside the baggage claim area of the airport and transfer you to the downtown hotel. 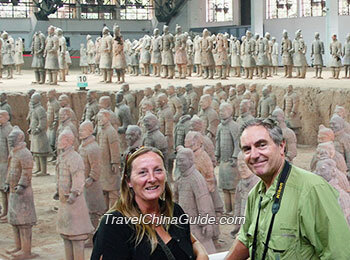 In the morning, visit the Eighth Wonder of the World, the Terracotta Army. You will not only be attracted by the life-sized warrior figures and horses, each of which has distinct facial expressions and positions, but also be astonished by various kinds of ancient weapons which reflect the highly advanced technology in weapon-making 2,200 years ago. We do not offer lunch today. You will arrange it on you own and get some suggestions from your guide upon request. Then, visit the Giant Wild Goose Pagoda - the well-preserved 1,300-year-old Buddhist pagoda of Tang Dynasty. Just a few minutes' drive from the Giant Wild Goose Pagoda, you will come to the next stop - Provincial History Museum, which exhibits over 370,000 historical relics and is regarded as 'the best museum in the country'. A morning visit to City Wall, one of the best-preserved existing City Walls, to stroll around on the wall and you will have a bird's eye view of the city. You will then have a local family visit and a la carte lunch (valued at CNY120.00 per person and included in our price) will be arranged in the home of the family that you visit, to taste the authentic home cooked dishes. We also offer Chinese food cooking class to our valued guests for free in our family visit. 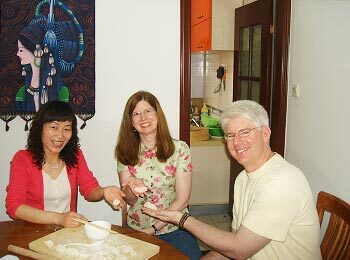 If feel interested, you may learn to cook Chinese dishes with the hostess. After lunch, visit the Great Mosque which was built in the year of 742 AD with a similar architecture style of Chinese temples. On your way to the mosque, you will walk across the famous snack street - Muslim Street, where you may find many delicious local snacks as well as interesting souvenirs. In the morning, before heading to the airport, you will visit Xi'an Museum and the Small Wild Goose Pagoda. Xi'an Museum was opened to the public in 2007. It is well known for its cultural treasures displayed at the exhibition hall, the ancient pagoda of the Tang Dynasty, the morning bell chimes of the pagoda and the beautiful garden landscape. As a part of the museum, the Small Wild Goose Pagoda is one of the most important architecture of ancient Chang'an in the Tang Dynasty and now is a famous historic site in the city. 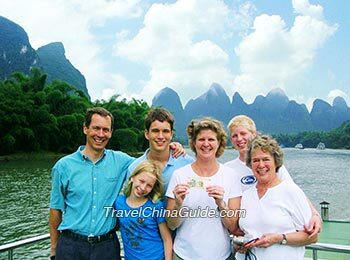 Then take a flight to Guilin and we will transfer you to the hotel. Your luxury series hotel is located on the bank of the Li River, and you can stroll along the bank and enjoy the picturesque scene of the city. Enduring memories are created today as you cruise down the Li River to Yangshuo. The length of Li River is about 50 miles, and you can see picturesque scenery all the way during your cruise. Upon arrival in Yangshuo, take you to the countryside to enjoy the rural beauty of Yangshuo. 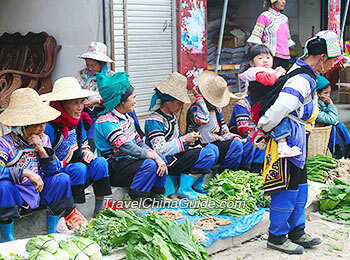 You will also visit a local villager's home to experience the farmer's lifestyle there. After a whole day's excursion to Yangshuo, transfer back to Guilin in the late afternoon. Today's excursion starts with one of the most famous attractions in the city, Reed Flute Cave, which is renowned for the varieties of stalactites, stalagmites, columns and lime-flowers which came into being about 700,000 years ago. Walking in the cave, you will also be impressed by the interesting names of the stalactites and stalagmites, such as Palace of Crystal, Dragon Pagoda and Flower & Fruit Mountain. Your next stop will be the Seven Star Park. Your city visit will end with the Elephant Trunk Hill. You must wonder how such a huge rock resembles an elephant drinking water on the riverside, and your guide will give you much information then. When finishing all the attractions in the city, you will take a flight to Shanghai and our guide will greet you at the airport and transfer you to the hotel in downtown area. After breakfast, you will visit Shanghai Museum and the Yu Garden. As one of the four largest museums in China, Shanghai Museum is famous for its vast storage of 120,000 of art relics, especially for the exhibition of bronze wares, porcelain wares, calligraphy and paintings. After learning about history, you will learn about the ancient Chinese gardening - visiting one of the most famous gardens in south of the Yangtze River, Yuyuan Garden. We will serve you an a la carte farewell lunch (valued at CNY150.00 per person and included in our price) at a fancy and famous local restaurant, which offers authentic Shanghai and Cantonese cuisines. In the afternoon, we will transfer you to the Bund area, where you take a short cruise on the Huangpu River. On the banks of the river scattered almost all the major attractions of Shanghai, which symbolize the past, present and future of the city. 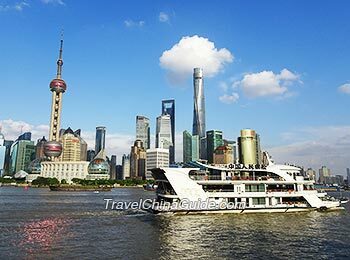 After the cruise, you will visit the Bund area and then explore an old street. 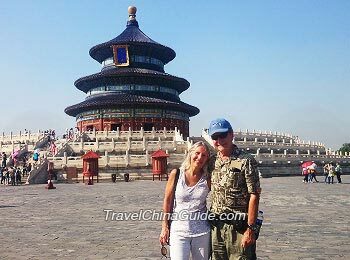 Your private guide will pick you up from the hotel and drive you to the airport so that you can board the flight back home loaded with pleasant memories of this 11 days guided tour of China. I want to thank Abbey for a fabulous experience visiting this country. I had misgivings beforehand, but would now very much like to come back! Our guide service made visiting the country possible and pleasurable! Sometimes there was too much food, often actually. But when asked, that was adjusted for us. 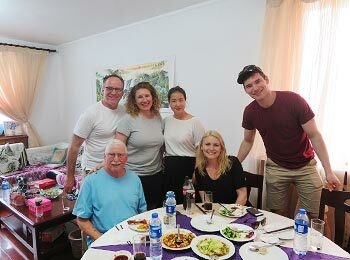 My favorite meal was the one in the home we visited in Xi'an. I would recommend that meal to anyone! Most of the restaurants were very good. I didn't care for the our first lunch in Beijing, although I don't recall the name of the restaurant. All of the guides spoke adequate English, and most were eager to learn new words, proper pronounciations, and differences in pronounciation between words as used by British or American guests. Although some of the vehicles were better than others, all were quite adequate. The vans were excellent, and all of the drivers were responsible, helpful, and courteous. The air conditioning was wonderful. We would like especially to complement Lee in Guilin. She did an excellent job, and went beyond just doing her job. We enjoyed her company. She is a young woman who really knows how to go a step beyond to make her guests welcome, comfortable, and meet their needs. Little things that were not necessary, we found her constantly doing. ie. Not only supplying us with two bottles of water a day, but being concerned if they were not cold! We'd give her the award for being the best guide of the trip. Maggie in Xi’an also did an excellent job, and met our plane, even as it was five hours late from Beijing. Being met in a strange city at 11:30 at night was most welcome, and eased our concerns upon our very late arrival. Her comment was bright and cheery, "That is my job!" Our guide, Ryan in Shanghai was extremely knowledgeable and we felt well taken care of there also. Your helpful and knowledgeable staff made our trip to China very successful. We now had a wonderful experience to remember. "Long Long" in Shanghai informed us that we were her first "seniors" and that she felt slightly apprehensive. Her charm, enthusiasm and warmth set the scene for the remainder of our visit. Nancy in Beijing, Peggy in Xi'an and William in Guilin kept up the high standard. I have had Peking duck in many places, but the lunch in Beijing and that Peking Duck was the most wonderful gastronomical experience, will never forget it. All of our guides were knowledgeable about their cities, with an attentive working attitude and easy to communicate. Marcus in Beijing- Marcus has a great attitude, he is attentive, very knowledgeable and my group all talked about the great kind spirit he has. There was something about his manner that endeared him to the 4 of us. He was attentive, ready to please us, and gave us great advice. Lily in Xian- she is so intelligent smart and well read. She was sharing information with us that she had read in books, newspapers etc. Things not strictly about the tour, legends, current events, she shared with us. She had a very wide English vocabulary as well. She had a lovely calm spirit. Jack in Guilin- a great sense of humor, also very smart and attentive. He had obviously read and researched about our country - Jamaica before we got there and showed a lot of interest in us and our country too, which is great for building relationships with clients. June- in Shanghai- we had for just one day, but was so helpful. 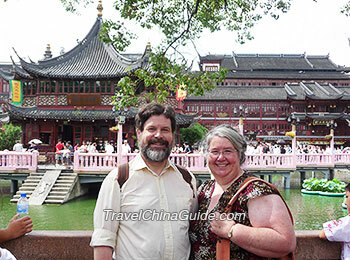 I want to thank TravelChinaGuide for the amazing work they did preparing for our journey of China. In a private tour with a group of 40 traveling together i was worried about the many details required for our large group. They pulled this off flawlessly. We thoroughly enjoyed our visits of Beijing, Xian, Guilin, and Shanghai. Their expert planning arranged for us of seeing all of the major historical and cultural sites in clean modern coaches with outstanding drivers. We never waited in lines as our two guides worked together to keep us moving while handling all of the logistics behind the scenes. The hotels were all first class as well as the outstanding meals they arranged for us. Two of our highlights were the Shanghai Acrobat and the Tang Dynasty Dinner Show. Our staff appreciated the ability to make changes throughout the day when we wanted a little more time at one location or less at another. Our guides were so willing to adjust to meet our needs in each city. If we could change one thing it would have been to add a third day in Guilin. We thoroughly enjoyed this relaxed and beautiful region of China. We have a wonderful lifetime memory due to the excellent services. Many thanks to our guides and amazing drivers who made us so welcome in beautiful China. I would recommend TCG to any group traveling to China. Thanks for a wonderful journey! Our guide and driver were wonderful. They were very courteous and seemed to want to make our stay enjoyable. The guide seemed to know how much activities to provide. You will definitely enjoy this trip. This "Personalised" tour is really "Personalised". If not for the consultant Linda’s excellent service and the superb tour guide Tony in Beijing, the whole tour with our seven months old daughter would have not been so easy. We also enjoyed Xian very much. Chen was a great guide and our activities were excellent. She was prompt and knowledgable. Our guide Jessie in Guilin was very good. Her English was excellent! She was flexible with our time and allowed us to explore at our own pace. We had a problem with our camera during our stay, and Jessie helped us find a shop and save our pictures. We are very appreciated!! Barbara and I wish to thank TCG for making our recent vacation of China such a successful journey. 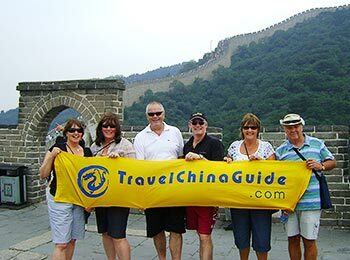 All the activities organized by TCG - from setting up the Itinerary prior to travelling; meeting and drop off at the airports in Beijing, Xian Guilin, Shanghai; and the help given by the Guides - were carried out to a high standard and everything worked out smoothly and seamlessly. In particular, we would like to make a special thanks to the Guides and Drivers - Anna and Mr. Wong in Beijing, Carol and Mr. Hang in Xian and Helen, Mr. Cheng in Guilin and Ocean and Mr. Zhang in Shanghai. The Guides provided good information and explanations; and all the drivers drove safely and carefully in some demanding conditions. We fitted in a lot in 11 days, all made possible by the good planning and organization of TCG. We thoroughly enjoyed the trip and thank TCG for the experience and helping us to understand a little better the nature of China and its heritage and the friendly people. We still have a lot more to see and will be in contact again when we make our next trip. We will of course recommend TCG to our friends and colleagues who may plan to travel to China at some time. I’m an American citizen. I will be attending a wedding in Israel and would like to stop in PEK on my way back to USA to site see and visit family. I would fly two different airlines. One airline from Israel. And a different airline from PEK to USA. Both non stop flights. Am I eligible for the 144 hour visa in PEK? Yes, James, you are eligible for the 144 hours visa free policy. Thanks Ina! 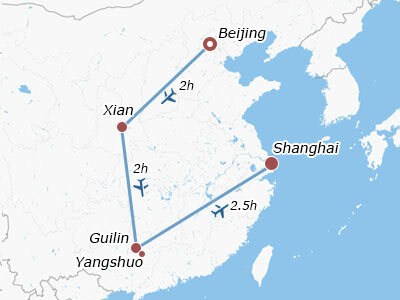 If I chose to fly back to the USA from Beijing on a route with one layover to save money is this possible? Or does my return flight have to be a non-stop to the USA? Thanks! If you stopover is in Tianjin or Hebei Province, it will be ok. Otherwise, you cannot enjoy this visa free policy. Thanks Ina! To be clear this would be an international layover (e.g. Hong Kong, Manilla, Taipei, etc) on my way back to the USA. It would not be layover in another city inside of China. Sorry for all of the questions but thank you for your help! How far our hotel (Crowne Plaza Century Park Shanghai) is from shanghai Disneyland? Could you please inform me how far our hotel (Crowne Plaza Century Park Shanghai) is from shanghai Disneyland? It is about 25km from the hotel to Shanghai Disneyland. From your hotel, you can walk about 1 km to Shanghai Science and Technology Museum Station and get on Subway Line 2. After two stops, you will get off at Long Yang Road Station and transfer to Subway Line 16. After reaching Luo Shan Road Station, you will get off and transfer to Subway Line 11. It will take you to Disneyland directly. Upon arrival, you need to get out of Exit 1 and walk to Shanghai Disneyland. 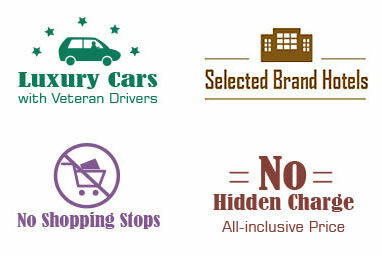 In addition, you are recommended to take a taxi to Disneyland. The fare will be around 100 yuan. I am travelling to China for an 18 day vacation, departing Australia on 1 April, 2019 and returning on 18 April, 2019. My passport expires on 31 July 2019. Do I need to get a new passport before applying for the Visa. As I know, if you would like to apply for a China visa, your original passport should have at least two blank visa pages with at least 6 months of remaining validity, and a photocopy of the passport’s data page and photo page if it is separate. In fact, Guilin has beautiful scenery all the year round. You won't be disappointed whenever you visit there. But every year from April to November, it has less rainfall and the climate of Guilin is pleasant, so it is the most suitable time for cruise on the Li River and visit Guilin. Besides, I kindly suggest you do not choose the traveling time during Chinese holidays to avoid crowds. Question about the Forbidden City. May I know which gate is the entrance of the Forbidden City? And which is the exit? For your reference, the entrance of the Forbidden City is Meridian Gate (south gate), and the exit is Shenwu Gate (north gate).